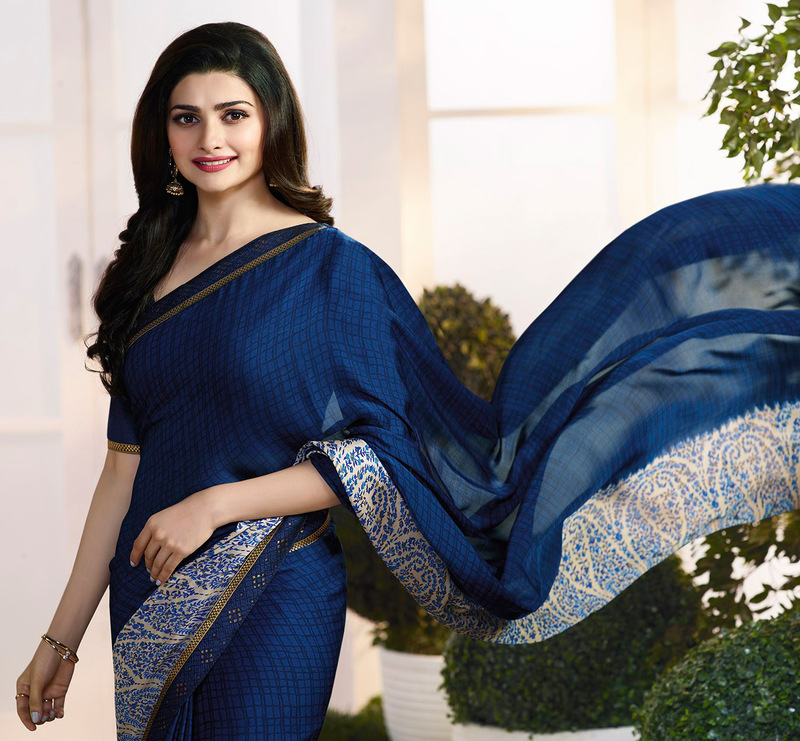 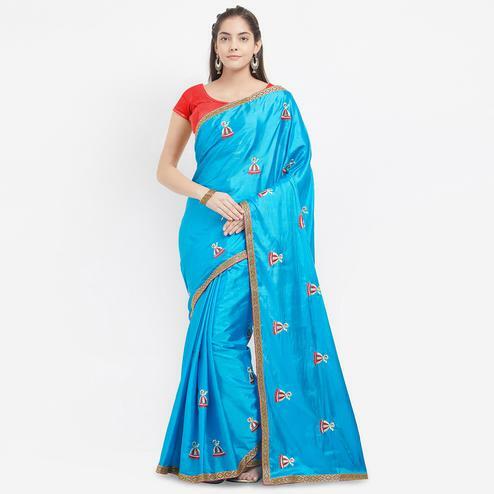 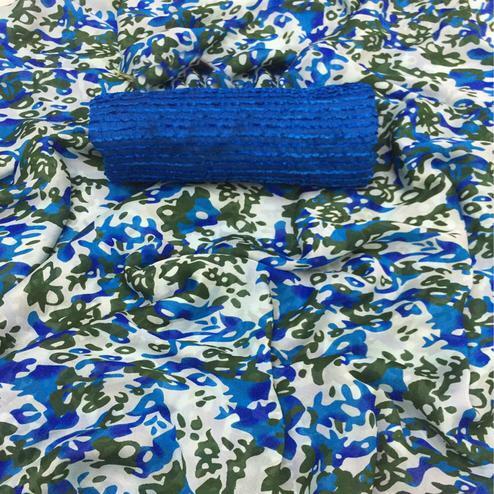 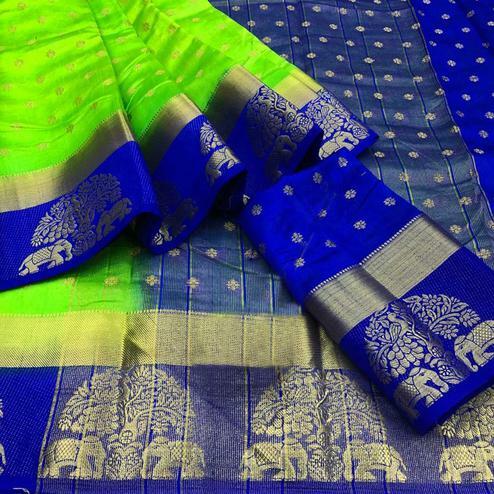 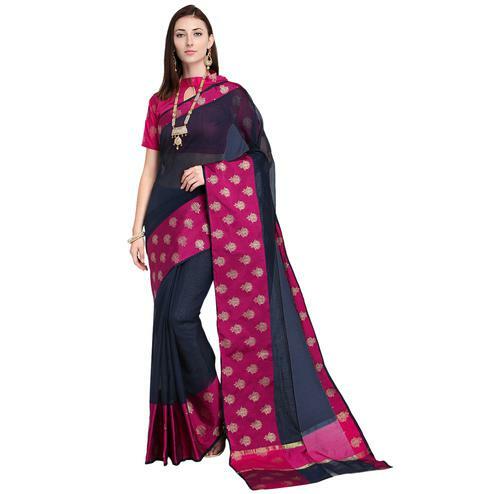 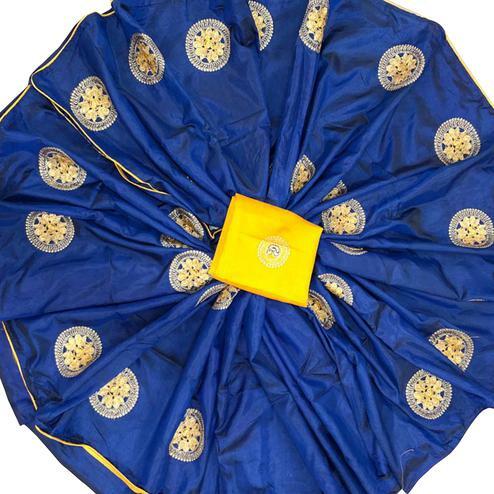 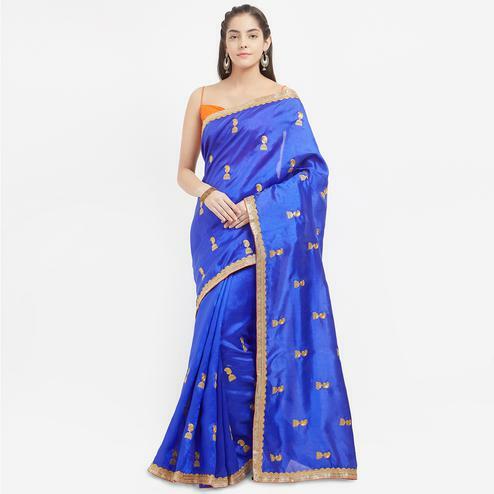 This navy blue color saree made from georgette fabric is prettified with print work done in the form of small checkered at body and fancy pattern at contrast color lower part. 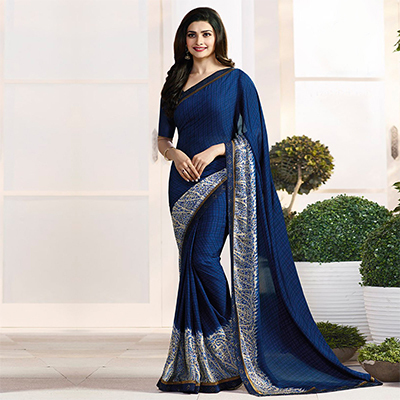 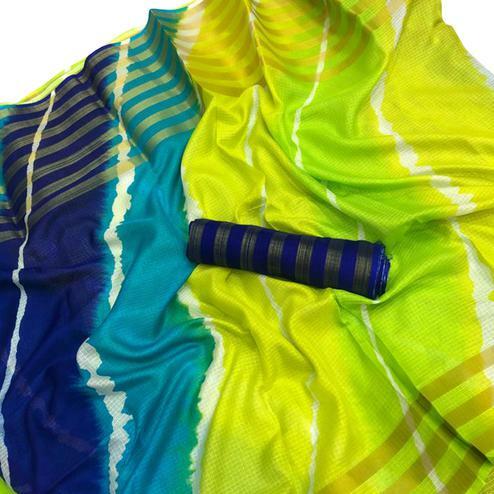 It has also got matching color lace in attractive design at border. 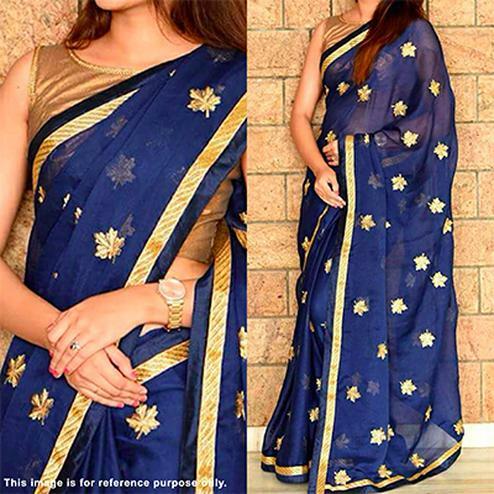 Saree paired with navy blue satin fabric blouse piece. 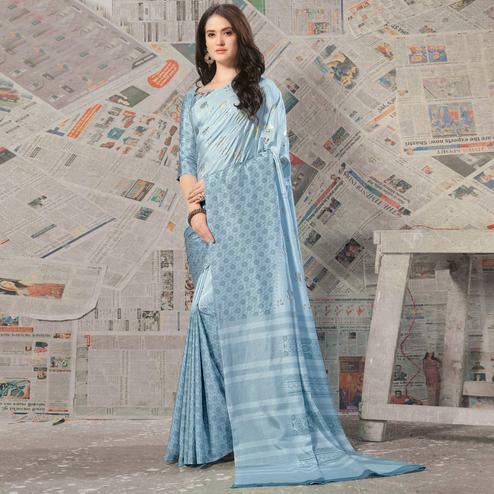 Perfect for casual wear.